I can’t believe it’s September! I must ask forgiveness of everyone who’s stopped by in the last two months. So I will post just a sample of what I’ve been up to this summer. 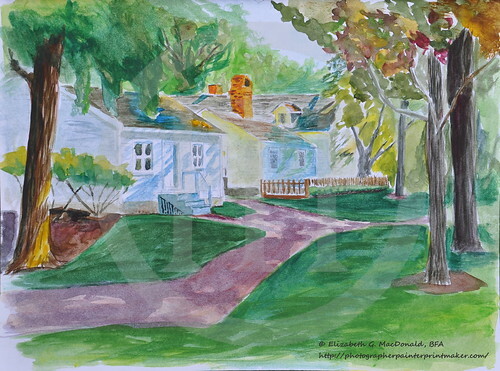 Last summer a friend of mine and I started the Windsor & Essex County Plein Air Society. We made a pledge to ourselves that we would get out and paint every week. We’ve succeeded! I took to Facebook with our group and started to invite people, and there are now 9 of us who get together every week! OH!! I also designed a logo, watermark for all my work. I was looking at the wordpress logo,and suddenly I realized that subconsciously I chose my blog name with all words starting with P for a reason. DUH… the simplicity of the WordPress logo inspired me. What would PPP look like in a circle. I like it, I hope you do too. I’m thinking of getting a sign for my van window. The Park House, originally uploaded by photographerpainterprintmaker. 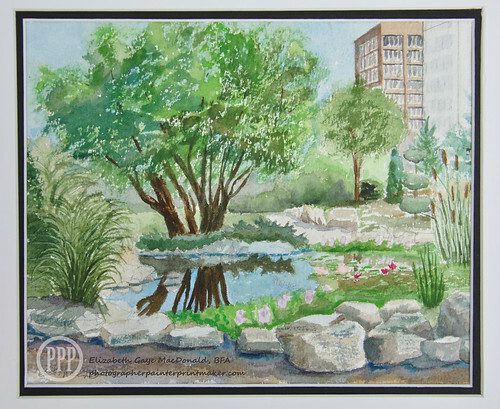 Dieppe Garden Koi Pond, Windsor, On., originally uploaded by photographerpainterprintmaker.